"I’m in hopes of regular order on all the appropriations bills, but we’re running out of time and running out of time rapidly," Tester said Wednesday. That was before President Donald Trump Thursday morning tweeted criticism of one appropriations bill, calling it “ridiculous,” because it doesn’t include funding for a wall on the U.S. Mexico border. Tester also said he doesn’t think Congress will be able to pass a farm bill by the time the current one expires at the end of this month. Both the House and Senate have passed their own versions of a farm bill, and now a special House-Senate committee is working on merging them. 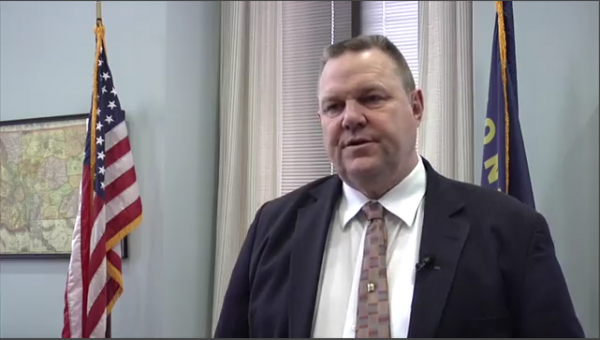 Tester says politics is gumming up that process. "I think it’s ridiculous because it wasn’t that heavy of a lift. It was not like we’re doing stuff in that that’s very, very controversial," says Tester. Tester says safety net programs in the farm bill are important both for low income people who need food assistance, and for farmers who need stability in the face of market disruptions from international tariffs.